Getting ready for a fun weekend at the Rifle Club at Whitby . Steampunk Central is proud to announce' GLADSTONE' will be playing on Friday evening. Doors open 8 pm band on at 8.30 pm. Saturday evening' The Major' , and The Cogneys . Doors open 7.30 £5 entry on the door. Sunday evening Steampunk Pub Quiz and Game Show night, Special Guest 'Mike Stand' free entry. Steampunk Market from 12.00 - 5.pm Friday. 10.00 - 5 pm Sat and 11.00 - 4.30 Sunday. David J Howe and Sam Stone will be in the rifle club ALL Saturday and until 3 on Sunday. Hope to see you there. Sam Stone and David Howe will be returning to one of their favourite Waterstones stores. With Frazer Hines who will be selling his autobiography 'Hines Sight'. If you haven't tried Zombies in New York and Other Bloody Jottings then you can now download it from Amazon at a bargain price. Demon Dance Book 3 The Vampire Gene Series is currently reduced also. If you don't have Kindle but have and IPhone/ IPad there is a free Kindle app you can download and connect to your Amazon account. This allows you to buy any kindle book and it will automatically download to your device. So ... have I tempted you to buy and try ...? Programme includes Reading & Q & A from 12.30pm and signings thereafter. WIGAN WATERSTONES, 30th June 2012. "So, you don't write stories with happy endings, then?" Someone said that to me a few years ago when I mentioned that I write horror fiction. I have also been involved in discussions before and since about happy or redemptive endings and whether this is something a writer should or should not aim for. My responses often argued for the story to dictate the nature of the ending or something else writerly, and though I still stand by those responses, I wasn't being entirely honest. 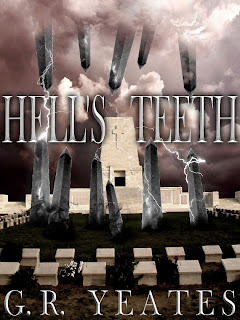 As Sam has been kind enough to allow me space on her blog, and as I am releasing Hell's Teeth, the third and final novel in the Vetala Cycle trilogy this month, it seems to be an appropriate time to discuss endings and why I write them the way I do. The short answer as to why I do not write happy endings is that I would need to have experienced something that I consider to be a happy ending in my own life in order to be able to write one. As much as I believe myself to be capable of writing for an audience and their expectations as any other writer, I think there are certain things, certain experiences that, if we do not go through them, then we have no reference point to then convincingly write from, and this is why the endings I write for my stories tend to be fatalistic at worst and ambiguous at best. 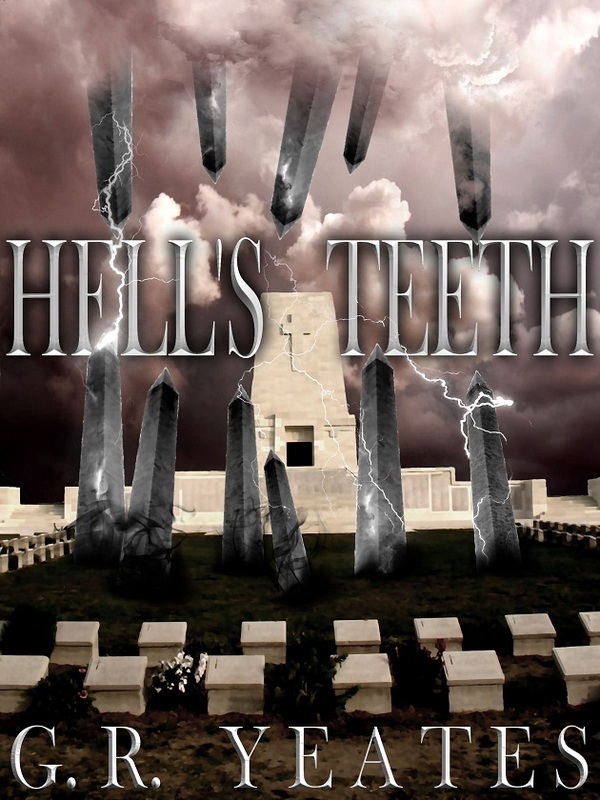 However, that being said, I was recently moved to write a very short story as a coda to the Vetala Cycle. It is called The End of War and without spoiling it for readers, there is a small mote of hope present there, and I wonder if it was this that was my motivation for writing such a piece, as the Vetala Cycle did not feel, to me, fully complete until I typed the last line of The End of War. Even though I had already thought that I was done, something was still missing. So, when there was that weird, indefinable sensation in my gut that the last piece of the story was now finally in place with The End of War, after six long years of hard work, this suggested to me that even though I do not write happy endings, there is still space in my work for a little light in the black. 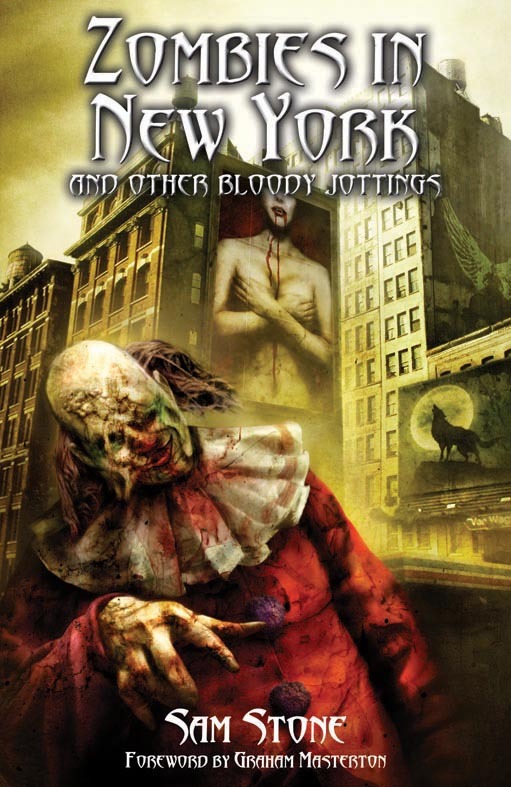 Okay, I know quite a few of you have been asking me about the digital edition for Zombies in New York and Other Bloody Jottings and so here it is! Don't you just love the far reach of Amazon?